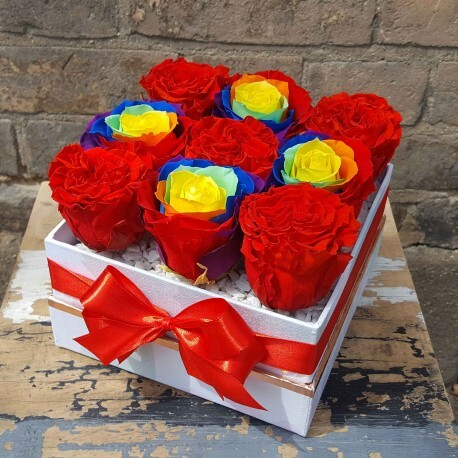 Nine Everlasting Roses arranged for you in a pretty gift box. Four Rainbow Everlasting Roses surrouded by vibrant colour everlasting roses. 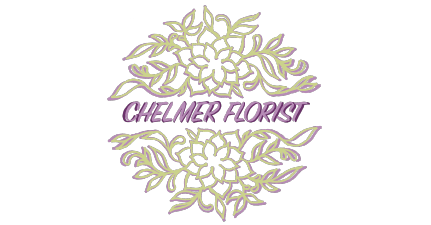 Please note: the rainbow roses are guatanteed and other five roses colour will be chosen by us, unless stated otherwise in the 'special request' box. The arrangement lasts at least one year. DO NOT Water the roses! AVOID direct exposure to sunlight.